Following a recent mindswarms project with Leslie Stone, director of strategic services for Ogilvy NYC, I sat down with her in Brooklyn to talk about her perspective on using mobile video ethnography. You can watch that video here. Moderator bias and group-think are two common factors in live interview sessions. Mobile video surveys invoke the online disinhibition effect, whereby people communicate more openly and honestly without another person present because they feel less afraid of conflict or disappointing the interviewer. You can read more about this in my LinkedIn article, 5 lessons in Mobile Video Study Design for Emotional Results, about our study of Millennials & Home Cleaning. In the study we did with Leslie and the Ogilvy team, we were asking people about their homes. Therefore, we had people answer questions from inside their homes and even give us a narrated Show + Tell tour of their favorite room. From a study design standpoint, because people are typically very comfortable at home, they’re more relaxed and natural in their responses than they would be in another setting. Additionally, getting people moving and doing something unscripted helps people speak more freely because they’re not the focus of attention. Leslie says she used to travel all the time, conducting in-depth interviews (IDIs) and ethnographic studies. Today, her responsibilities at Ogilvy mean she has less time for field research. Nevertheless, for the world-class, award-winning work that Ogilvy does, she still needs to achieve a deep understanding of consumers—and there’s no substitute for hearing from and observing people directly. Despite the fast turnarounds made possible by online research tools, you don’t want to sacrifice quality for speed. (People want good sushi, fast; not just fast sushi.) That’s where totally DIY video survey platforms sometimes fall short. With mobile video ethnography, it’s especially important to ask the right questions in the right ways. For that reason, at mindswarms we collaborate with researchers to design studies, closely screen participants, and curate the resulting video responses to keep quality high. We view our platform as an effective technology enabler of the fundamentally human-to-human act of ethnography. One of the great strengths of mobile video ethnography is being able to see what’s in the periphery as people answer questions and to peer into people’s lives and environments. There’s tremendous power in hearing directly from consumers in their own words. Mobile video ethnography is a great tool for collecting first-person stories rich in detail and emotion. It helps you understand the language actual customers use to talk about a brand, product or experience. It also helps you confirm you’re not making assumptions based on false familiarity. Brand decks can be beautifully written and clearly articulated, but seeing and hearing how those ideas, platforms or concepts are manifested in the lives of real consumers helps bring teams closer to the people they are trying to reach. I think it’s fair to say a lot of business presentations are...anesthetic. Uninspired and unengaging. Video, however, has become the new language of the world, as you’ve seen in the explosive growth and volume of online video. Bringing that rich, vivid cultural element into the world of business is a highly effective way to get a point across in an compelling way. For the ad campaign Ogilvy was developing, Leslie needed to bring a broad array of stakeholders up to speed, quickly. So she selected clips from our mobile video study to share with the client, her creative team, PR and others involved in the ad campaign. The richly visual content and first-person stories were powerful for validating ad campaign strategy and building empathy for the campaign audience. This helped the Ogilvy team develop a unique and compelling ad campaign that connected with people in a genuine way. You can watch watch our video interview with Leslie here. On our website, you can also download several case studies showcasing the effective use of mobile video surveys for ad campaign testing and business pitches. Special thanks to Leslie Stone for sharing her insights about the experience of using mobile video for qualitative research. Tom Bassett is the Founder and CEO of mindswarms. For over 20 years he has traveled the world to interview people in-person, in situ, as part of consumer market research and strategy for some of the world’s most iconic brands: Nike, Apple, Google, Microsoft, Sonos and many others. A specialist in using mobile video survey technology for ethnographic research, Tom has done mobile qualitative studies on behalf of Fortune 500 global brands in the US, Asia, Latin America and Europe. He also has led mindswarms collaborations with Carnegie Mellon’s Human Computing Interaction Masters program, Wharton’s MBA school, and Stanford Engineering. Remember when we surfed the Internet on a computer or laptop while seated at a desk? It wasn't that long ago, but times have changed. Now we consume content wherever we are, whether that's at home or at work or en route to a store. And our gadgets have changed from stationary computers to myriad mobile devices that we carry or wear. Mobile brings a constantly connected mindset, and it's driving changes in the way we—including our customers—consume content and interact with brands, from voice search to chatbots, and from digital assistants to the Internet of Things (IoT). DNN Software has created an infographic that illustrates stats and figures related to this phenomenon. For instance, the infographic shows that active users of virtual digital assistants are forecast to grow from 390 million (in 2015) to 1.8 billion by the end of 2021. Those digital assistants are driving an increase in voice searches. In 2016, Google announced that 20% of mobile queries are coming from voice searches, according to the infographic. To harness the power of mobile apps, organizations must get on board with the internet of things and contextual computing. It's been 10 years since Apple's iPhone launched what would become the ubiquitous mobility era, but we're still struggling to realize the vision of a mobile-first world. Newer consumer apps take advantage of mobile's unique features, such as location awareness and voice control, but enterprise software still has a long way to go. Most companies work within the confines of applications and experiences that were designed in the 1980s. The challenges of embracing mobile-first aren't just about technology maturity. A mobile-first strategy requires companies to commit to overhauling business processes and workflows to take advantage of new data and device functionality. And it requires more than just focusing on mobile. The term mobile-first seems out of place today. After all, would anyone today build a new app or service that only runs on a PC? I think not. A company may create a cloud-based service, but that runs on any device with a browser. What of the burgeoning internet of things (IoT) market? Should apps become IoT-first? No. They're built to operate and move seamlessly across devices. The best experiences allow a person to start a workflow or transaction on one device and seamlessly transfer it to another device. Apple and Microsoft both offer this type of portability through their Continuity and Windows Continuum features, respectively. They're adaptable to the user and device context. Context in this case could refer to device size or to the availability of input mechanisms such as keyboard, voice, stylus, touch and gesture. Apps also need to sense what functions are available -- such as camera, GPS and biometric sensors -- and provide different options for actions the user can take based on these capabilities. Context-aware apps can also show different information based on location, such as bringing up certain notes or launching Microsoft PowerPoint when the user enters a meeting room in a specific building. They're designed to collect and act on new data sources.Smartphones ushered in a new wave of sensors such as accelerometers and gyroscopes. Wearables and IoT devices add opportunities for gleaning sensor data such as heart rate and humidity. Next-generation computing requires deep integration with a wide range of connected devices. Wearable apps can collect data from sensors, for example, to provide more context for what the user is doing or feeling at a given moment -- and provide in-app options that react to that context. They can learn and make predictions. Mobile brought to IT the concept of personalized services based on an understanding of user behavior. End-user computing in 2017 will take advantage of big data storage, analytics and machine learning to deliver services that provide users with the right information at the right time. We're living in a mobile- and cloud-first world that relies on a diverse set of devices and ways to access business data. If you haven't embraced this approach, you're behind. The only question is, will you change your mobile-first strategy to take advantage of these tools? If not, you'll be even further behind when the next wave of change -- IoT, augmented and virtual reality, and artificial intelligence -- hits. Today marks another milestone in revolutionizing how companies learn about their in-store products, operations, and competition. 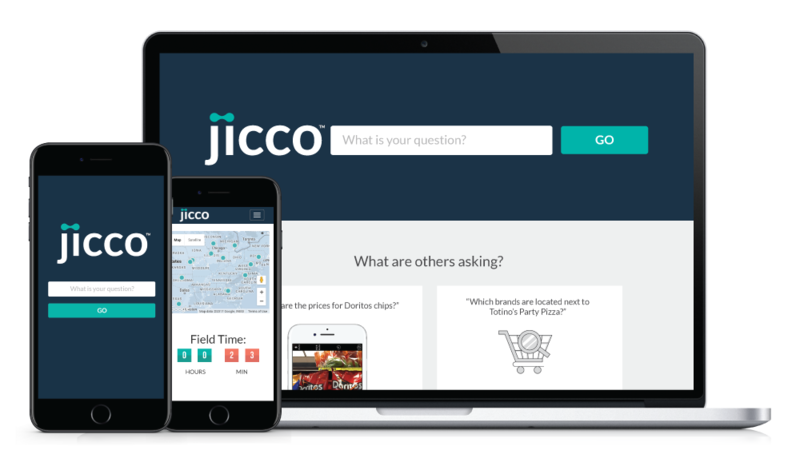 Introducing Jicco, the first on-demand, retail search engine, designed to furnish business professionals with “instant answers to pressing retail questions.” As reported by Supermarket News, the search engine will change how retailers, brands, and agencies obtain real-time answers about store-level promotions, pricing, on-shelf availability, competitive activity, and shopper sentiment. "West is right about the challenges facing many retail professionals, and as these folks jump between projects and try to keep all of their plates spinning, having fingertip access to some relevant data certainly will help them. Why shouldn't retailers get a curated portion of the internet all their own, right?" 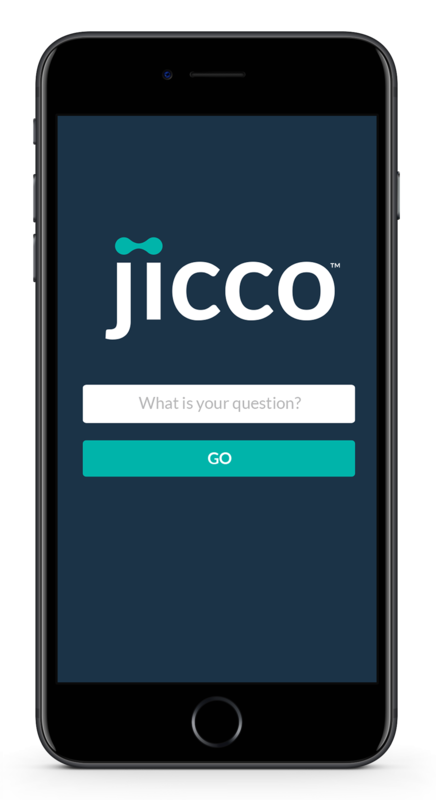 Currently in beta testing with plans to roll out nationally in April, Jicco is already being used by hundreds of brands, retailers, and agencies to acquire on-demand answers from stores across the country. Users will simply visit gojicco.com, type in a basic question about in-store conditions, and, within minutes, watch as photos, information, and shopper feedback begin streaming in from stores across the country. That easy. What’s the price of store-brand toothpaste at Kroger? What does the special Tide detergent display look like at Walmart? What signage stands out most in the baby products aisle at Target? The Arkansas Democrat-Gazette newspaper tested the search engine and reported receiving an answer within 17 minutes: "That rapid response can be critical for companies, that are often in need of data quickly and may not be able to fan out fast enough to get it," the paper stated. According to West, Jicco harnesses Field Agent’s retail expertise, proven technology, and all-mobile “crowd” of more than one million shoppers to more quickly connect companies with their widespread products and operations. The headline for Thom Wheeler’s op-ed piece in The New York Times today says it bluntly: “The G.O.P. Just Sold Your Privacy.” Wheeler is referring to the House vote on Tuesday, blocking FCC privacy rules passed during the Obama administration. This rollback would allow cable firms and wireless providers to exploit your “browsing history, shopping habits, your location and other information gleaned from your online activity” any way they want, writes Wheeler, the former chairman of the Federal Communications Commission. We’re sure he’s right. But consumers won’t be the only victims of this foolish piece of deregulation: The real losers will be brands that market online. They have just lost control of their own data. Nobody has analyzed this yet, but here’s one possible scenario, based on historical precedent. There was a roaring controversy years ago about American Express using data from the transactions it processed to send catalogs and other product offerings to cardholders. The argument took place behind closed doors, and memory has faded on some points. But American Express was competing with its own clients -- direct marketing companies that accepted the AmEx card. If L.L. Bean was selling jogging shorts, American Express could see that and offer jogging shorts (a hypothetical case). Obviously, it didn’t go over well: Catalogers argued that these consumers were their customers. The program went away. But fast-forward to the digital age. The ISPs and telecoms will now be in a position to do the same thing. They can take the behavior prompted by your seven- or eight-figure marketing budget and use it to peddle data. In short, they’ll be getting a free ride on your marketing spend — on SEO, email, mobile and display. It will end up in court, and there will be no easy political formula for judging it. And even if the broadband providers cut deals with you, it will be an attribution mess. What’s next? Will credit card processors also have the right to sell your sales data? The next problem is even bigger. The privacy theory in Europe (and much of the rest of the world) is based on affirmative opt-in, not a dubious opt-out. As Jess Nelson reported in MediaPost on Tuesday, Flybe and Honda and were hit with fines in the UK for sending “spam.” But if we’re reading it correctly, those emails would scarcely cause a ripple in the U.S.
Clearly, we’re going against the European rules. Is this U.S. marketer’s version of Brexit? The article adds that the “digital rights group Electronic Frontier Foundation suggests you might pay to use a virtual private network, which funnels your internet traffic through a secure connection that your provider can't see into. But good VPNs aren't free, you have to figure out which ones you can trust,” he concluded. But let’s be fair. The Obama-era FCC rules had not yet taken effect, so Republicans are arguing that nothing has changed. They’re right — it’s a wash. What has been altered is the bipartisan accord that existed on the privacy issue. It wasn’t always good for marketers — even the pro-business GOP took a strong privacy stance. But it was consistent. Well, no more. “Intelligent personal assistants” are revolutionizing how we obtain information, manage our households, and entertain ourselves. But, will IPAs—and the devices they live in: Amazon Echo, Apple iPhone, Google Home—ever become a go-to method for shopping and transacting purchases? Do Echo Owners Make Purchases Through the “Smart Speaker”? See Also: Will Drone Delivery Fly with Shoppers? Download the report, “Buy & Fly Retail”! Participating agents were required to capture video and photos of their Echo—meaning every participant in the survey was a bona fide Alexa-user, carefully verified through Field Agent's quality control process. The complete report is now available for free. Download it today! And be sure to subscribe to the Field Agent Blog, recently ranked in the top 10 of Feedspot’s best market research blogs on the planet.